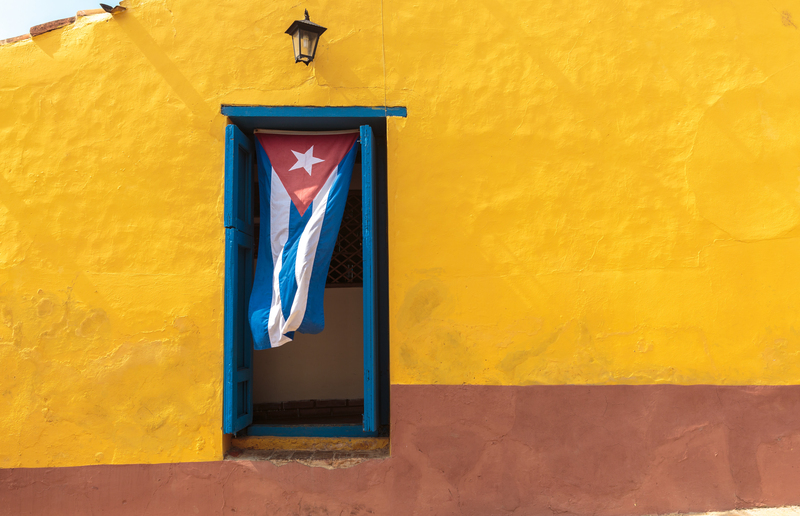 As travelers to Cuba can attest, an unfortunate reality of cryptocurrency services today is often the poor customer support. After taking a vacation to the Caribbean island, Elliott Smith, a visual effects programmer from the UK, was sitting at the airport and, as is common after vacation, began catching up on his digital life. With a keen interest in bitcoin, Smith decided to open the Coinbase app and check the price of his holdings. After a quick look, he closed the app. He didn’t buy. He didn’t sell. He didn’t trade. According to Drew Hinkes, a partner at Berger Singerman, Coinbase’s action was not particularly surprising given that the country is still subject to financial sanctions by the U.S.
“The fact that we’ve opened up some tourism and widened the pipes may have suggested to folks traveling there that the full spectrum of economic activity was available,” Hinkes said. 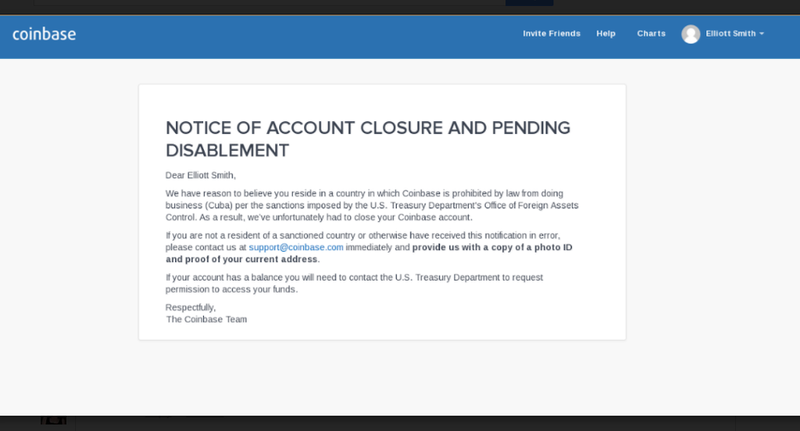 But just like Iran, Syria and North Korea, Cuba remains not fully in the good graces of the U.S.
Hinkes refers to the Office of Foreign Assets Control, an office which comprises several agencies that have engaged the digital currency community. Plus, Coinbase has already proven itself highly conservative in its approach to compliance, recently ousting a white-hat hacker for paying ransoms and buying black market documents at the behest of clients. “Coinbase has taken great pains to stay in the good graces of regulators,” Hinkes said. Although, companies can get licenses to do business in the country, and Netflix and Airbnb are examples of U.S. companies that received a license. The others aren’t allowed to provide services for people that live in the country. But, Smith doesn’t live in Cuba. Since then, even with a half a dozen requests for updates, Smith hasn’t heard a thing. And his story isn’t unique. On Reddit, a handful of people have lamented the same situation, including Charles Thomson, who has taken the issue further. Thomson continued to ask Coinbase to release his funds, but with no digital response, he stepped it up to a formal demand by registered mail. On June 15, after Coinbase failed to meet the deadline set in the demand, Thomson filed a lawsuit. According to Thomson, the lawsuit is less about money, and more about forcing Coinbase to fix the problem. “Everybody else that doesn’t have the means to bring a lawsuit against them, Coinbase is just ignoring – unless they’re threatened, it seems, at least with legal action,” said Smith, who didn’t have much bitcoin in the account when it was closed. The problem, then, is more of principle. “I knew there would be a backlog, so I gave them a few weeks, but this is really frustrating,” he continued. According to Romero, Coinbase has seen a 10-fold increase in the number of customers using the platform. But Romero says the company is working on it. In a June 2 Medium post, Coinbase co-founder and CEO Brian Armstrong, outlined how the company would be addressing the situation in Q3 of this year. Coinbase is committing significant investment toward customer service, for instance, working with an outsourced team to double support capacity and hiring a consultant to help the company scale and introduce phone support. The goal is to take care of support requests in six hours or less, said Romero. “Compliance-related requests are always going to take us a little more time because we need to look at the account and make a judgement, and we’re pretty thorough when we’re doing anything related to compliance,” Romero said. While Romero wouldn’t speak to specific cases, he added Coinbase plans on doubling the support team again in the next six to eight weeks. This isn’t only a Coinbase problem, though. Perusing cryptocurrency companies’ Twitter feeds (Poloniex, for example) reveals a significant amount of frustration related to support. The result is that tensions between companies and users are still high. Even with his account reopened, Thomson has kept the lawsuit against Coinbase pending. “I have quite a bit of experience with filing these types of lawsuits, and the same thing always happens when a company gets the plaintiff’s claim and the order to go to court, they immediately pick up the phone and try to make you go away,” he said on Reddit. Thomson has continued encouraging others to give him their support case numbers, so when Coinbase calls he can support all the cases, and hopefully get everyone’s accounts reopened (including those of his girlfriend and a friend who traveled with him to Cuba). Five days after he filed the lawsuit, Coinbase reopened Thomson’s account. But they had only emailed him a confirmation. He posted on Reddit that, because he didn’t end up on the phone with anyone at Coinbase, he was unable to ask about other case numbers. On July 19, Thomson posted on Reddit an email he received from Coinbase that stated the exchange would like Thomson to withdraw the filing because access was fully restored to his account. The best part: It was sent and signed by Coinbase corporate counsel Shahab Asghar, a real person. Thomson expects to get on the phone with Asghar soon, asking about all the other customers who have dealt with the same issue.